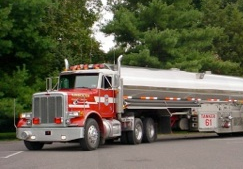 From tanker trucks to general liability and buildings, our agents provide all lines of commercial insurance for propane dealers. With a quick application process and great rates, we make it easy to get the right coverage for your business anywhere in the country. In addition to liability, auto, and property insurance, Brewers Insurance Agency of Texas, Inc. also provides workers’ compensation insurance to propane, gas, and diesel dealers. Our policies help limit your financial risks while ensuring your employees have the coverage and protection they need. Contact our insurance specialists today and put our experience to work for your business. Brewer Insurance Agency of Texas, Inc. in Richmond, Texas, is an independent agent specializing in LPG dealers insurance. Formed on September 10, 1954, our company was created to sell insurance to LPG and refined fuel dealers in Texas and create a long-term stable insurance market. We now operate in most of the 50 states and have grown into one of the largest national agencies specializing in propane insurance. See the Commercial Insurance tab for more information on the various types of commercial lines that we can insure for you. Our insurance agency is committed to providing fast, friendly service to each of our valued customers. We look forward to providing your business with the peace-of-mind you deserve at a competitive price you can depend on.